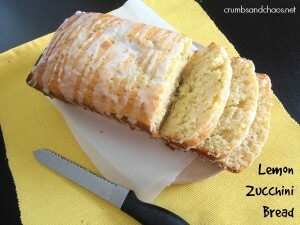 A few weeks ago, when I posted the Lemon Zucchini Bread, I promised another zucchini recipe would follow. 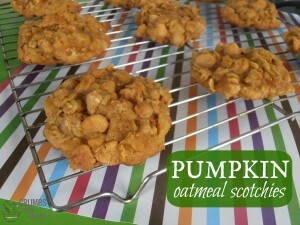 But this time, I got to add one of my all time favorite ingredients… PUMPKIN! It is September after all! 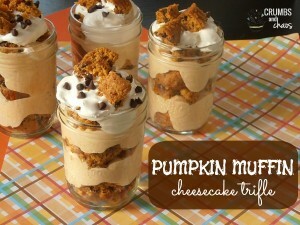 Around here we ADORE the Pumpkin Chocolate Chip Muffins so when I saw this I figured it would be a hit. But instead of making two loaves of bread, I decided to make one loaf and 12 muffins. With my oldest just starting Kindergarten we are still trying to figure out the perfect morning routine. 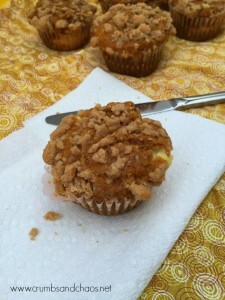 One thing I have decided is that having muffins made ahead of time makes life SO much easier. So seriously this was a no brainer! 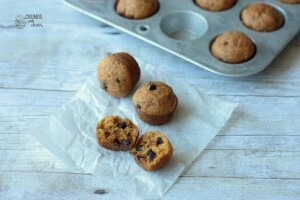 The original recipe didn’t call for chocolate chips, but I figured you can’t go wrong. I only had a chuck of chocolate (no chips!) so I put it in my mini food processor and made it work. I stirred it into the muffins but for the bread I just sprinkled it on top, making it almost a topping. Either was is wonderful, but of course the chocolate is completely optional. I think you will find this recipe to be another great way to use up your zucchini and have a tasty breakfast or snack on hand! 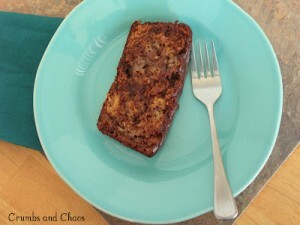 I thought I was the only one that did different baking pans for a single recipe with bread! 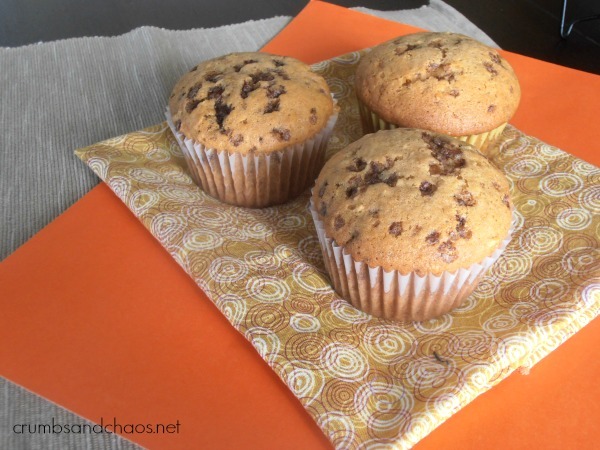 I do it so that one loaf has chocolate chips for my fiance and then the muffins for me are chocolate free!! 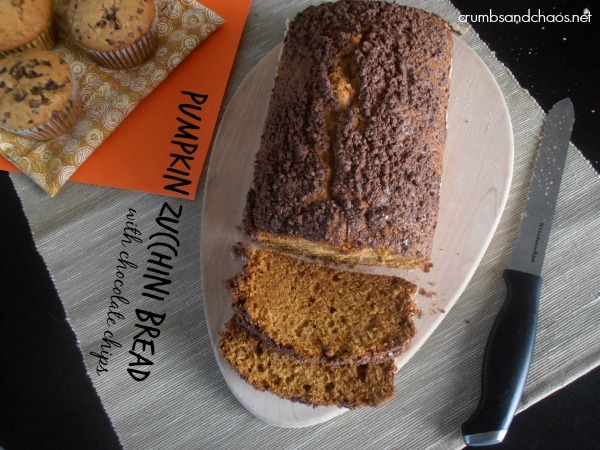 I’m super excited to mix in zucchini though and I need to check out your lemon zucchini bread recipe!